Wizards of Chicago to Present "Foolies of '41"
Ode - rhyme - Anon. There'll Be Some Changes Made - re: "Tops"
We Greet New England Magi! 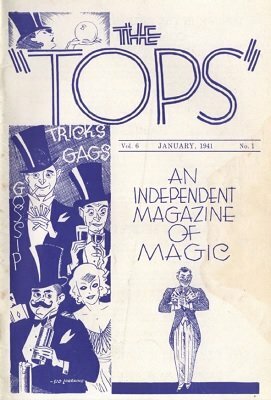 "How to Make Eyes" - or, "Officer, Arrest That Man"
Gen. Grant and Delores Barr Now Mr. and Mrs.
High-Light Magic - John Snyder, Jr.
Bert Douglas Book for "Tops"
How Long Since You've Bought New Cards?